The NC Department of Health and Human Services’ Office of Rural Health is hosting six meetings across the state to gather stakeholder input regarding the J-1 Visa Waiver program and NC’s Loan Repayment and Incentive Programs under N.C. General Assembly Session Law HB 998. The meetings are open to the public and are intended to gather feedback about current processes and possible program modifications to help ensure maximum benefits to rural North Carolina communities. North Carolina has a shortage of primary health care providers, particularly in the state’s rural areas. 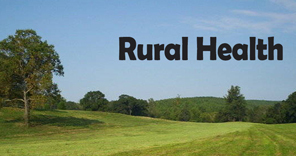 The Office Rural Health leads or is involved in several approaches to help place health care professionals in underserved communities. The J-1 Visa Waiver program helps place foreign medical graduates with eligible provider organizations, and the Loan Repayment and Incentive Programs provide financial incentives for certain types of health professionals in underserved areas. Follow this link for a full listing of dates and times.